With a name conjuring up the image of the famous, idyllic Italian coastline, Amalfi is (unsurprisingly) inspired and encouraged by the world, its people and its cultures. Now, you can set the mood with everything from vases lighting, and make your home beautifully idyllic, too. Made from woven bamboo rattan. Set of two handwoven square baskets in natural and black tones. Features two handles for easy portability. Presented as a set of two coordinating sizes. Large Basket – 31cm (h) x 31cm (w) x 31cm (d). 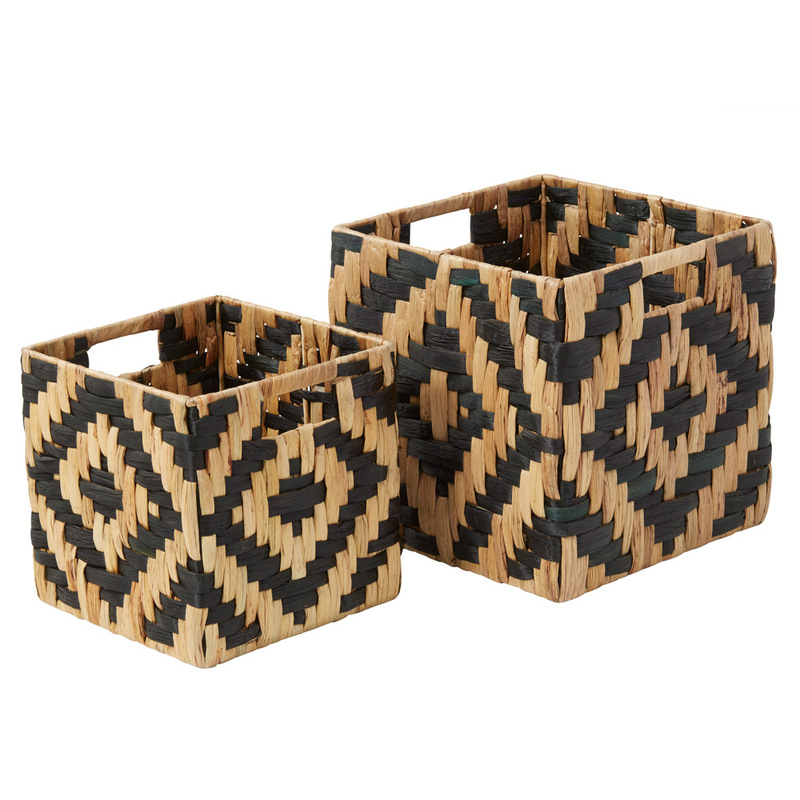 Small Basket – 25cm (h) x 25cm (w) x 25cm (d).